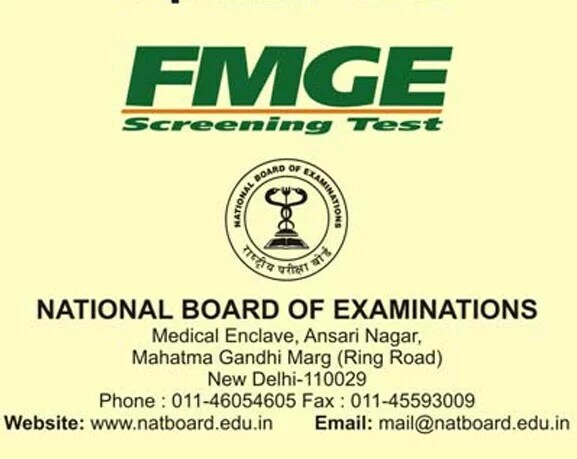 National Board of Examinations (NBE) has announced that Foreign Medical Graduate Exam (FMGE) June 2014 session will be conducted on 16th & 17th June, 2014 across various centres all over India. Scheme of exam remains same as that of FMGE September, 2013 session. Exam will comprise of 300 Multiple choice questions (MCQs) and will be a computer based test. Course curriculum also remains same as that of lasr year. Information bulletin and online application system will be available on NBE website www.natboard.edu.in shortly. Go to our FMGE forum for discussion.